Though many fashionable products bear the Ed Hardy name, the tequila named for the legendary tattoo artist actually adheres to his commitment to detail and quality. 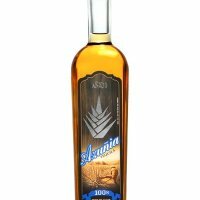 TEQUILA.net - In the last decade, French designer and entrepreneur Christian Audigier transformed an underground body art legend into a beloved American icon, celebrity cult figure and household name. The distinctive style of Don Ed Hardy, Godfather of the Modern Tattoo, is now celebrated on everything from sportswear to sport drinks. 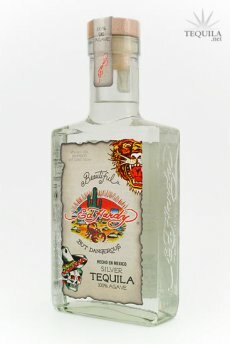 While everything iconic and widely embraced by Hollywood celebrities runs a risk of becoming too ubiquitous, and other spirits do bear Ed Hardy’s name and artwork, Elements Spirits, Inc. and parent company Worldwide Beverage Imports are proud to release Ed Hardy® Silver Tequila—made with the same attention to detail the artist put into every tattoo during his heyday in the 1940s and 50s. Like Audigier’s original Ed Hardy clothing and accessories collections earlier in the decade, the Ed Hardy® Silver Tequila bottle makes quite an impression with its vibrant tattoo imagery and strong lines. The tequila inside, meanwhile, lives up to its promise. The liquid is luminous, while the aromas are vibrant and the mouth feel is silky and delicate. This renders it the perfect foundation for the myriad of creative, statement-making cocktails, its core audience—young, affluent and trend-setting adults—enjoy ordering at their favorite lounge or making at home for friends. Ed Hardy® Tequila, which is certified Kosher and Organic is available nationwide and retails for $39.99. Ed Hardy® Tequila is a product of Worldwide Beverage Imports, LLC., producer of fine quality, organic and Kosher products such as Agave 99® Tequila KAH® Tequila. Please sip your tequila responsibly. For more information on Ed Hardy® Tequila, visit www.edhardybeverages.com.